Allyson Felix figures she'll wake up one day soon and her ankle won't hurt anymore. Her heart? That will heal someday, too. 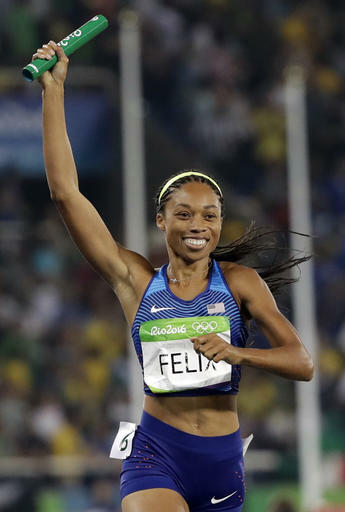 Though she won two gold medals at the Olympics _ in the relays _ to bring her total to six and top the all-time list among women, Felix still insists the Rio Games went nothing the way she drew them up. She was hoping for a 200-400 double at the Olympics, but an ankle injury in the spring derailed the plan. She only qualified for the 400 and, given her condition, was grateful for that. 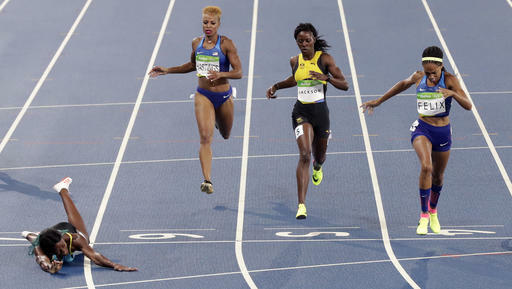 When the 400 final rolled around at the Olympics, Felix was shocked by Shaunae Miller of the Bahamas, who dove at the finish line to edge out Felix by .07 seconds for the gold. Social media questioned Miller's sportsmanship, saying there was no room for diving in the sprint game. Felix said Miller won the race fair and square and didn't think Miller dove intentionally. At 30, Felix says she still loves her sport and wouldn't be surprised if she's standing at the starting line in Tokyo four years hence. But that's too far down the road. She's looking at next year, and not too far beyond that.